Halo 5: Guardians – All Hail / The Cost | The Fighting 1:18th! Following up on last weeks teaser, Microsoft released not one, but TWO Halo 5: Guardians trailers this past Sunday during the season finale of “The Walking Dead”. Continuing their #HUNTtheTRUTH campaign, they made sure to point out that things are not always as simple as they may appear. Is this the end for Spartan-117? … or is this just the beginning? New information will be released each week, leading up to E3 2015. Oh.. and one other small tidbit. They announced the release date last night as well. 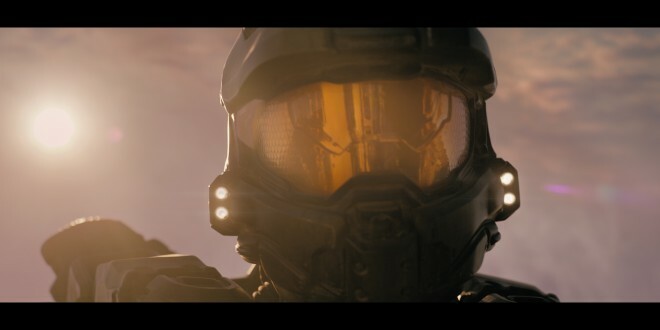 Halo 5: Guardians releases on 10.27.2015, exclusively for Xbox One. This is the first Halo game to be released in October, but hopefully this date will let the title stand out from Star Wars Battlefront and the next Call of Duty for a few weeks. Not going to lie, my hype levels are at maximum right now! With a ton of new novels and other media expected to release before launch, there will be a ton of Halo-goodness in the near future! Be sure to check out the Halo Waypoint for all the latest in Halo news.